Children must be supported by their parents, whether the parents are divorced, separated, or unmarried. In order to allow each child to be adequately supported by parents, states enforce certain laws applicable to child support. Child support goes beyond covering the basics, such as food, clothing and shelter. Rather, the financial support one parent pays to the other covers a range of expenses that allows for the well-being of the child. Examples of how child support may be used include the following: education-related expenses (uniforms, books, tuition fees, tutors), medical costs (medical, dental and vision insurance), childcare expenses, basic entertainment (games, Internet, movies), extracurricular activities (Girl Scouts, summer camp, clubs) and even college expenses in some situations. This formula is set in place in Illinois; however most other states have updated their guidelines to include the net income of both parents. Illinois law may alter in the future, as well. 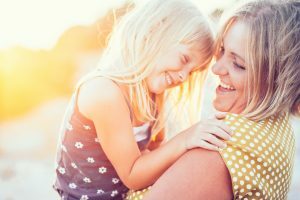 Adjustments to the above child support formula may be made in the event of a child’s specific educational needs, the child’s financial needs and the physical and emotional condition of the child. A high-earning parent may pay more than the aforementioned guideline, while a parent with low-earning power will pay far less. Parents will pay child support based on their net income, whether earned or unearned. Examples of income include investments, wages, commissions, and self-employment income. Parents who expect to pay child support can estimate the minimum amount of support expected by filling out the Child Support Obligation form, which is available on the Illinois Department of Healthcare and Family Services Division of Child Support Services. The Department of Healthcare and Family Services handles child support cases in Illinois. The Division of Child Support Services is an Illinois agency that is responsible for numerous child support agencies throughout the state. Any of these nine regional offices offers a locale for parents to travel to in order to file for child support in Illinois. Illinois is heavily involved in child support cases, with the state establishing paternity, locating a noncustodial parent and enrolling a child in a health insurance program, among other scenarios relevant to the child. An application for child support services starts the process to obtain child support in Illinois. Keep in mind that going through the Division of Child Support Services only helps a parent receive child support and not custody or visitation rights. An alternative to filling out an application with the Division of Child Support Services to file for child support is to hire a lawyer. A family law attorney is more expensive than going through the Illinois agency. However, a lawyer can take the child support case to court quicker and better represent you. Once you fill out the online application for child support, it is necessary to deliver it personally, by mail or via fax. Government agencies establish deadlines for paperwork to be submitted. Be sure to adhere to any and all deadlines provided on your application. Any difficulties that prevent you from submitting the necessary paperwork on time can best be handled by contacting the Department of Healthcare and Family Services. Speak to the staff member and keep a record of the name of the person you spoke with, the date and time of the call, and any relevant notes. A request for child support is not answered immediately. Even a change in status will take time. Modifications in a current support order can only be achieved with proof of a parent’s change in circumstance. In Illinois, child support is only permitted to continue until the child turns 18. If the child is still attending high school, the child support will terminate once the child graduates from high school or turns 19, whichever occurs first. Parents with children who are disabled or who are incapable of providing self-support may receive child support beyond the child’s 18th birthday. In Illinois, judges may even extend child support to help a parent with expenses for children attending college. When your family will benefit from child support, contact the Oak Lawn area’s most trusted family law firm, Berry K. Tucker & Associates, Ltd. Our lawyers will advocate for you and your child, using legal expertise and over 50 years of combined experience. Our attorneys at Berry K. Tucker & Associates, Ltd. investigate and research parental responsibilities, including how much time is spent with the child, who cares for them when the child is sick and who ensures the child is in school. The results from these investigations help our legal team build a strong case and be prepared for all situations that arise. We will help you, as a parent, receive a fair resolution as quickly as possible, allowing you and your child to return to your daily lives. Laws change rapidly. The family law attorneys at Berry K. Tucker & Associates, Ltd. stay up to date on current Illinois laws and apply them to your case. We are prepared for each hearing, as a result. While fighting for child support can be an uphill battle, the lawyers at Berry K. Tucker & Associates, Ltd. will work with you throughout the process to offer a sense of relief. We have a wealth of experience fighting fairly for the rights of mothers, fathers, and their children. A consultation is available to parents who are involved in child support cases.